With an attractive design and connectivity to the height of the latest market, the Samsung LED 7000 are complete Smart TV Full HD-compatible 3D images. They are available with 40-inch screen (UE40ES7000), 46 (UE46ES7000) and 55 inches (UE55ES7000), and have an approximate retail price of 1200, 1600, and 2400 euros respectively. Its very narrow base frame and stylish, and completely silver finish give them a modern and elegant, making it stand out nicely in our room. 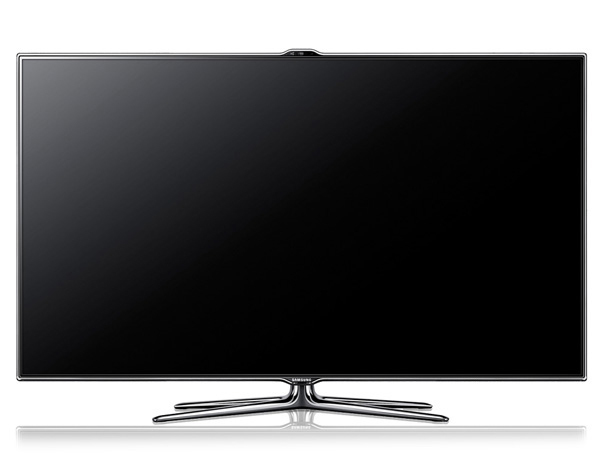 The Samsung 7000 series are the second most advanced televisions Korean brand, under the new 8000 series. But not far behind in technology and connectivity. 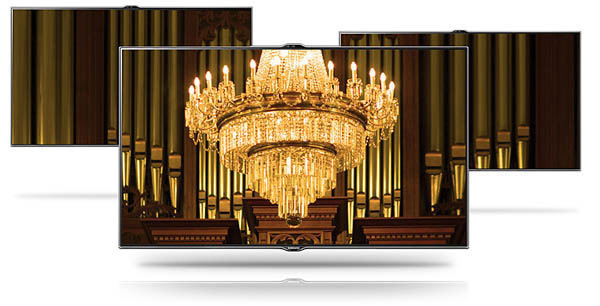 The 7000 Series features LED-backlit screen with Micro Dimming Pro technology to enhance contrast. Network connectivity and port WiFi allow us access to Samsung's Smart Hub to unburden application or view content on demand, and with the new Smart Interaction can operate your TV using voice commands or gestures. One Design The design of Samsung, with its tiny frame size, the screen dominates almost the entire front of the TV. This feature makes the edge almost disappears when the computer is running, conveying a sense of design and quality to the user. 7000 Samsung LED TVs are equipped with Smart TV LED screen with a resolution full HD (1920 x 1080 pixels). The working frequency is 800 Hertz, and the contrast is benefited by technology Dimming Micro Pro. This allows the 7000 Series increase or decrease the brightness of specific areas of the screen, depending on what is being broadcast on television in the times. Thus, in clear, bright images, the system increases the illumination of the corresponding area on the screen, while in dark fragments, the backlight is reduced, thereby increasing the contrast. Samsung's other proprietary technologies such as Backlight MoIP Enhancer, or the Wide Color Enhancer (Plus) or Web Video Enhancer deal to get high image quality at all times. On the other hand, 3D Hyper Real Engine allows us to enjoy three-dimensional images in Full HD quality. The 3D system is 7000 Series active glasses help to create the three dimensional effect. These active glasses alternately darken lenses work in sync with the operating frequency of the TV screen. The communication of the glasses with the TV can be via cable or via a wireless system such as Bluetooth. With the purchase of a Samsung LED 7000 Smart TV includes two pairs of glasses to start enjoying the 3D just install the TV. The team also has a 2D image converter 3D can activate any signal source, either the TDT, DVD, or computer input. To transmit the sound, the Samsung 7000 Series are equipped with a set of speakers Full-range stereo Down Firing rate (focusing down) 10 + 10 watts of power. The processor has an equalizer with predefined settings, which also allows manual adjustment, and automatic volume control to avoid sudden changes in level when they get the ads or to change the input source. It also includes audio encoding Dolby Digital Plus and Dolby Pulse, and a simulation function called DNSe SRS surround sound. The name means Full Range speakers are capable of reproducing the full range of frequencies included in the transmission of audio, bass to treble. Of course, the speakers are able to reproduce the entire frequency range does not mean that all sound equally well. It is obvious that in flat screen televisions not much space to include speakers with sufficient size to deliver a good sound, especially in terms of lower frequencies is concerned. The result is a reproduction with enough volume and clarity for watching TV or movies at normal volume, but may fall short when it comes to enjoying a film session or when we want to hear music. In any case, users looking for higher quality sound would do well to complete the purchase of the TV with one of the many bars or sound projectors that exist in the market today. Without doubt, one of the most important caractarísticas Samsung LED 7000 (and all late model televisions today) is the functionality Smart TV . Once accedamos the Smart Hub, the application menu of Samsung Smart, we may download games and applications from the store Samsung Apps, watch shows and movies on demand, music, or look up information. It also allows us to surf the web and manage our accounts in the ubiquitous social networks Facebook and Twitter. The number of applications available through the Smart Hub continues to increase. For example, one of the latest additions is the use Samsung Kids, an entertainment package for children with games and educational programs. Samsung also added Fitness, an exercise program at home, as the name suggests. Another addition to note is the Samsung Family Story, which allows us to store pictures of our family when we want to enjoy the TV screen. Another interesting feature that Samsung has announced for next year is the Smart Evolution. This new kit will be sold separately and we will update the TV's performance periodically updating it as new developments occur. We must say though, that this new feature has just been announced by the Korean company, and its operation, and upgrade possibilities may vary depending on the model of Samsung TV Smart we have. In the section of the connections, the Samsung LED 7000 TV Smart ports are equipped with three HDMI with audio return channel, three USB ports, composite video input and component, digital audio output optical fiber, Scart, slot PPV cards, Ethernet port, PC input connection for audio, and headphone output. As for wireless connectivity, the Samsung 7000 series incorporate a WiFi port, so we will not have to worry about network connection without a power we do not have near the TV. They also include the system Allshare by DLNA , allowing us to share movies or videos of your computer, tablet, smartphone or compatible device OTOR through our home network. The highlight of the Samsung LED 7000 is the new voice interaction system or gestures Smart Interaction . This technology allows us to turn on and off the TV or change channels or volume, and even access the Smart Hub via voice commands or gestures. This function also has a facial recognition system that will save us, for example having to enter our username and password to access your account from Facebook . It is certainly a very interesting novelty that really changes the way to control the TV. The Samsung LED 7000 Smart TV is a TV with the latest specifications, a very attractive design and great image quality. Connectivity, both wired and wireless, is very complete, and the possibilities to Smart TV will make you wonder how you ever got along without the Internet on the TV so far. Only you can blame her a bit complicated menu settings to use, although that is due to the large number of configuration options available.